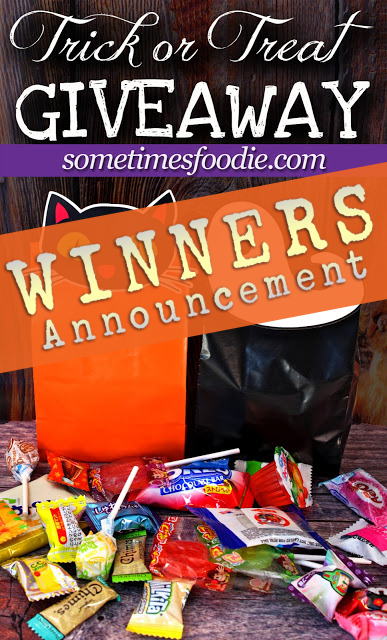 Sometimes Foodie: WINNERS of the TRICK or TREAT CONTEST! 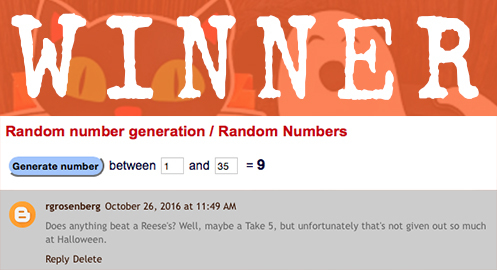 WINNERS of the TRICK or TREAT CONTEST! 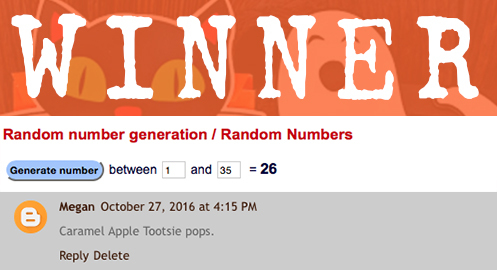 Without any further delay, here are the 2 winners from my 2016 Trick or Treat Contest! If a WINNER cannot be contacted, is ineligible, or fails to claim the prize within 7 DAYS from the time award notification, the prize may be forfeited and an alternate Winner selected. opportunities to win some sugary sweets! Omg, yay! Just emailed you. Thanks so much for doing this!